Congratulations to Amy and Louis on the arrival of baby Winter at the end of October. What a lovely Christmas present! 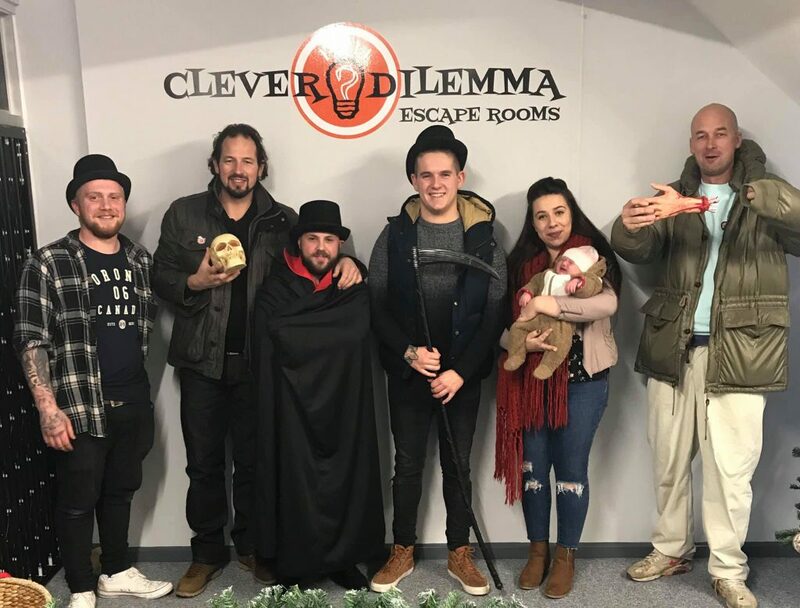 And; thank you to Clever Dilemma in Faversham for allowing baby Winter to take part in the Lotinga Doors Christmas event! The new venue was well organised and the staff were lovely. We completed it in 51 minutes, putting us towards the top of the leader board. We had a great time in this fun team building evening. Well done Team! A huge thank you to all our customers old and new for their support in 2018 and we look forward to your future custom in 2019. We will continue to deliver the high standard of service that we pride ourselves on, and as always welcome your feedback. Please remember to give us as much notice as possible when sending us your orders to avoid disappointment. So here’s to a Happy and Prosperous 2019 for all our customers! Do you have any industrial door requirements for 2019?